Now based in Edinburgh, Vashti's story tells of the thwarted promise of early fame, disenchantment, long-term exile and eventual rediscovery. In the mid-'60s, after quitting art school to concentrate on music, she was discovered by The Rolling Stones' guru, Andrew Loog Oldham, signed to Decca and recorded a single written by Jagger / Richards. Reviews touted her as 'the new Marianne Faithful' or the 'female Bob Dylan' (though Vashti claimed to be neither), yet further singles remained unreleased, leading to a sense of despair and a rejection of the music industry. After living under canvas in the bushes behind Ravensbourne College of Art, she bought a horse and cart and set off in 1968 with her boyfriend for the dream of a creative colony that the singer Donovan was setting up on the Scottish Isle of Skye. It took them nearly two long years to get there, by which time Donovan had left, but the experience formed the songs for 'Just Another Diamond Day', the album recorded by Joe Boyd (and featuring members of The Incredible String Band and Fairport Convention) in November '69, during a trip back to London. 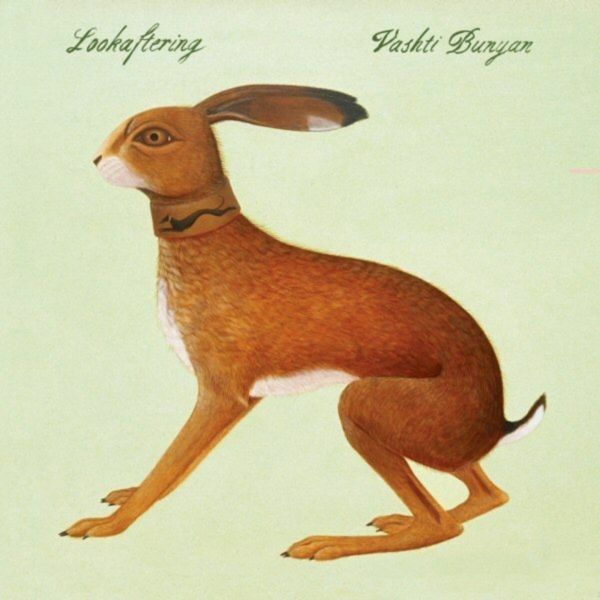 On the album's muted release in 1970, rather than hang around to promote the record, Vashti left the city again to live with the Incredible String Band in the Scottish Borders, and then (with horses, wagons, dogs and children) on to Ireland and back - to obscurity in the Scottish hills. The record slipped out in a tiny pressing and was rapidly forgotten, yet gradually over the years accrued a cultish currency as a lost English classic. In the late '90s, typing her own name into an internet search engine, Vashti became aware of this interest, and after tracking down the masters / rights, 'JADD' was re-released on the Spinney label - almost thirty years after she had "abandoned it and music forever" - to huge critical acclaim (The Observer Music Monthly placed it at 53 in their 'Top 100 British albums'). A host of young, new admirers emerged citing her influence, and Vashti has since recorded with Piano Magic, The Cocteau Twins' Simon Raymonde, Devendra Banhart, and with Animal Collective on the 'Prospect Hummer' EP that FatCat instigated in 2003 and released in May 2005. Following our contact with Vashti, we began chatting and offering advice on some new songs she was writing and looking for a home for. After a while, it occurred to us that instead of advising her on other labels, maybe FatCat could be that home. 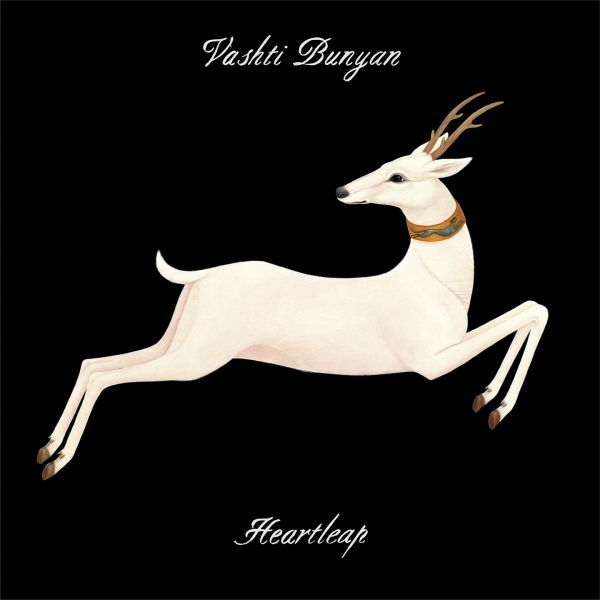 Vashti happily agreed and the result was her album, the truly beautiful 'Lookaftering' released in October 2005. With a new journey starting here, 'Lookaftering' achieved huge critical success, and saw Vashti once again taking to the road for a string of successful live shows and radio and TV appearances across Europe, North America, Australia and Japan. 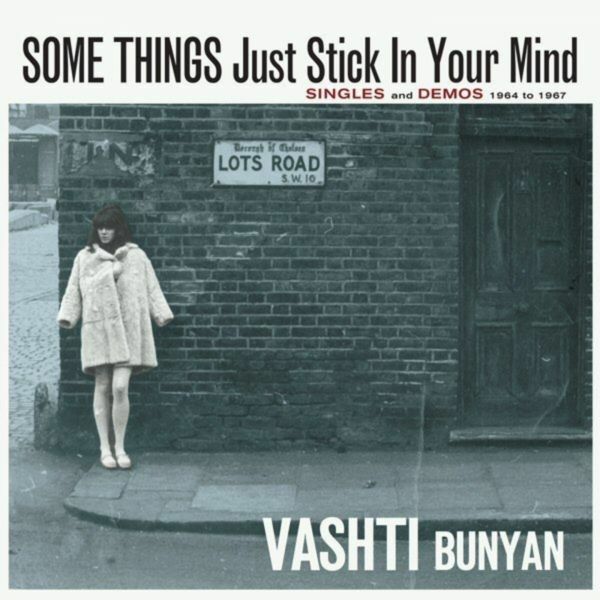 Following months of discussions, searching for masters and attempting to obtain clearance for them, in October 2007, we released the stunning double CD, 'Some Things Just Stick In Your Mind', a lavishly-packaged collection of Vashti's early singles and demos, dating from the period pre-'Just Another Diamond Day', 1964-67, the second disc containing material on a reel-to-reel tape she'd accidentally discovered, which was from her first ever recording session. In February 2008. 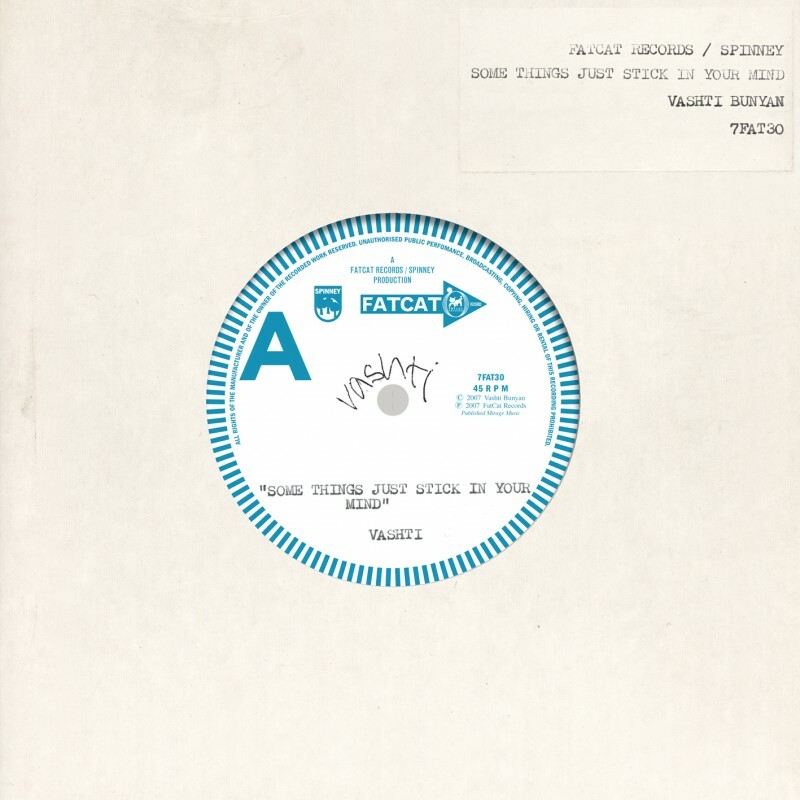 FatCat released a limited edition remastered pressing of the historic 7" single, 'Some Things Just Stick In Your Mind', written by Mick Jagger and Keith Richards. Originally released way back in May 1965 on the Decca label (as just 'Vashti', no Bunyan), the single was actually the young London-based singer's debut record. The track is backed by her own beautiful song, 'I Want To Be Alone' on the B-side. In October 2008 a world premiere screening of a new feature-length documentary about Vashti's life was screened at the prestigious British Film Institute, as part of The London Film Festival. Previously responsible for the 'Finisterre' film made with St. Etienne, BAFTA winning director Kieran Evans' beautiful documentary features footage of Vashti preparing for a concert at the Barbican, indicative of the revival of interest in her music, and sees her retrace the journey that would inspire her landmark work, 'Just Another Diamond Day'. Vashti put her touring boots back on in early 2010, playing shows in Japan, Canada and Singapore - as well as shows in the UK - and entirely missing FatCat's deadline for delivering a new album - with only four new songs completed by this time. A hiatus in her song-writing and recording came with the untimely passing of Robert Kirby in 2009 - who had arranged three of the songs on 1970's 'Just Another Diamond Day' and with whom she had just reconnected. They had planned to work on new arrangements together. It was another two years before she decided she must arrange the music herself - with Robert always in mind. Through the following three years a new album slowly emerged, recorded mostly by Vashti herself in her own studio, and was released on FatCat in Autumn 2014, alongside tour dates in UK and Europe.